The 34 charming Superior Cottages are scattered amongst the resort gardens within easy reach of the restaurants and massage hut. 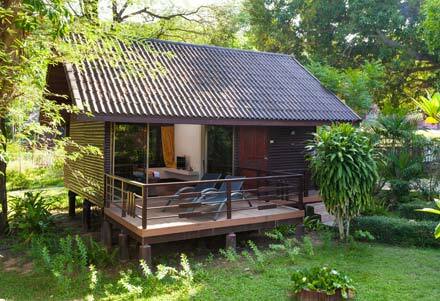 The individual Thai wooden cottages have a delightful outdoor balcony and a spacious bedroom with lovely views. 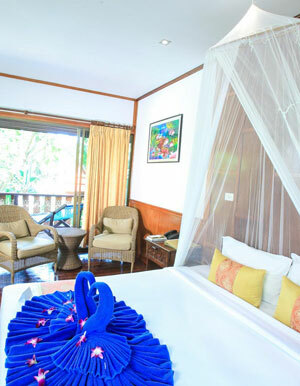 It is so easy to spend time lounging in the comforts of the Superior Cottage at our romantic hotel in Phi Phi, with air-conditioning, refreshments and entertainment provided.